In 1993 a peace-keeping mission in Somalia went horribly wrong. Many people were killed or injured. Wounded US soldiers were surrounded by jeering armed mobs. This happened two days before the UN security council was due to decide whether or not to send peace-keepers to Rwanda. With the support of Russia and the UK, America insisted on only a small, cheap peace-keeping effort. It would be limited to Rwanda’s capital city, Kigali, and there would be no seizing of weapons - only observing. Rwandan President Habyarimana and the Burundian President are killed when Habyarimana's plane is shot down near Kigali Airport. Hutu extremists, suspecting that the Rwandan president is finally about to implement the Arusha Peace Accords, are believed to be behind the attack. The killings begin that night. The Rwandan Armed Forces (FAR) and Hutu militia (the interahamwe) set up roadblocks and go from house to house killing Tutsis and moderate Hutu politicians. Ten Belgian soldiers with UNAMIR, assigned to guard the moderate Hutu Prime Minister, are tricked into giving up their weapons. They are tortured and murdered. A wave of violence spread across the country. Alisa’s family, with thousands of other terrified Tutsi, took refuge in the Catholic church at Ntarama. Alisa said, "we all thought that if we came into the house of God maybe no-one would touch us, so everywhere around this place was crowded with people." 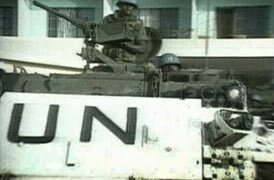 The next day, the Canadian General Romeo Dallaire, head of the UN peace-keeping, put in an urgent request for a doubling of his force to 5,000. He was told not to intervene in the conflict. France and Belgium send troops to rescue their citizens. American civilians are also airlifted out. No Rwandans are rescued, not even Rwandans employed by Western governments in their embassies, consulates, etc. One day, in Nyamata, armoured cars finally came to collect the white Fathers. In the main street, the interahamwe believed that they had come to punish them and they fled, yelling at one another that the Whites were here to kill them. The tanks did not even stop for a Primus break to have a laugh about the misunderstanding. Also, a few weeks later, the Whites sent professional photographers to show the world how we had been massacred. There were many bullets - and grenades - I could hear people screaming. I could hear it in the back of my head... really, it was very bad." About 5,000 people were killed here that day, including many of Alisa’s family. She escaped into a nearby banana plantation. Belgium withdraws its troops from the U.N. force after the ten Belgian soldiers are tortured and murdered. The U.S. and U.N. Security Council vote to withdraw 90% of the peacekeepers in Rwanda. Human Rights Watch calls on them to use the word ‘genocide’ - a term which would have legally obliged the UN to act. Alisa has taken her 9 month old baby girl and joined thousands of others hiding from the killers in the malaria infested marshes of the Nyabarongo River. 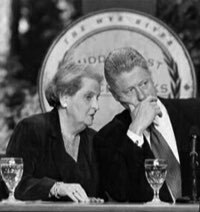 She said, "every day in the swamp, many teams of killers would come looking for people to kill, because they knew we were hiding there. Every day we jumped over corpses to escape from them." UNAMIR reduced to 270 soldiers (Resolution 912 passed by UN Security Council). New Zealand, Nigeria and the Czech Republic were the only nations who had supported forceful intervention to stop the violence. General Anyidoho, a Ghanaian, refuses to leave Rwanda, disobeying Ghanaian law and UN central command, but supporting UNAMIR and Dallaire and ordinary Rwandans. Gen. Dallaire is left with 450 ill-equipped troops from developing countries. The press ask the American State Department spokeswoman Christine Shelley whether genocide is happening. Her response carefully tries to avoid the word: "the use of the term 'genocide' has a very precise legal meaning, although it's not strictly a legal determination. There are other factors in there as well…we have to undertake a very careful study before we can make a final kind of determination…"
Later, the U.N. Security Council passes a resolution condemning the killing, but omits the word "genocide." Friday. The militia find Alisa hiding in the marshes. She said, “I had nowhere to run. They took my baby off my back, they took off my clothes and they cut me. They cut my baby in two parts. They cut my head and my hand and hit me on the shoulder with a spiked club. They thought I was dead, so they left." A U.S. Defence Dept discussion paper warns, “Be careful… a genocide finding could commit us to actually ‘do something.’"
The head of UN peacekeeping, Kofi Annan, says, “we are watching people being deprived of the most fundamental of rights, the right to life, and yet we seem a bit helpless ..."
General Dallaire asks the UN to jam the extremists hate radio transmissions. The UN asks the US. The Pentagon rejects the proposal as too expensive, and says that any act to silence RTLM might violate Rwanda’s sovereign right to control radio broadcasts within its border. 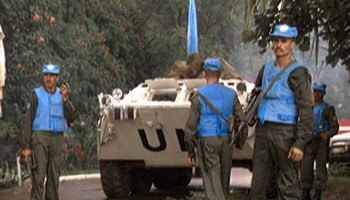 The UN finally asks the US to provide 50 armoured personnel carriers. They argue for weeks over who will pay for them. They don’t arrive until July. Mike McCurry, State Department spokesman, is asked at a press briefing, "has the administration yet come to any decision on whether it can be described as genocide?" At a State Department briefing, spokesperson Christine Shelley is asked, “"How many acts of genocide does it take to make genocide?" ALISA: "Some people took me out of the swamp but I wasn’t aware of what was happening around me. After four days the wound on my hand began to rot; maggots were coming out of it. 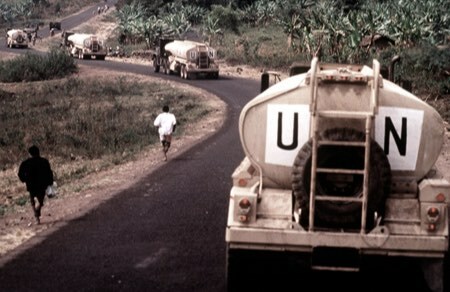 As the killings continued, the French government continued to supply weapons through eastern Zaire (DR Congo). President Francois Mitterrand said, "In such countries, genocide is not too important." 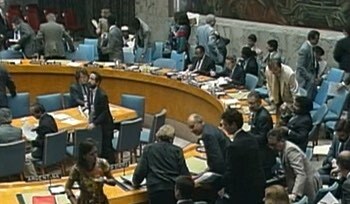 UN Security Council approve a 60 day French mission. 3,000 soldiers came in, with RPF agreement, and set up the ‘Turquoise Zone’ in North East Rwanda. This became a safe haven for the almost beaten old regime. The transmitter for RTLM continued broadcasting from the Turquoise Zone. The French allowed all of the Hutu soldiers and interahamwe to keep their weapons. “While I was talking about the ongoing genocide, [the French] staff were raising points about the loyalty France owed to old friends,” Dallaire (shown right) reported. “They refused to accept the reality of the genocide and the fact that the extremist leaders, the perpetrators, and some their old colleagues were the same people”. RPF forces capture Kigali. 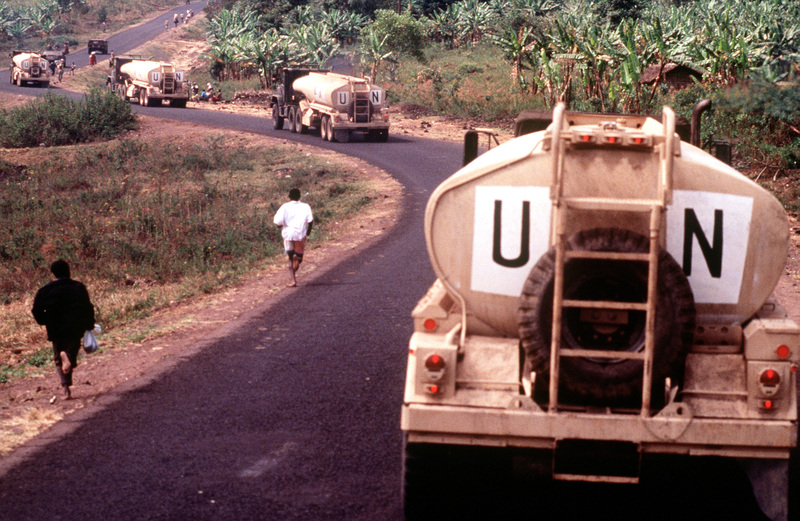 The Hutu government flees west to Zaire, with a tide of refugees. The media arrives, and the world is galvanised into action by the images on their televisions. 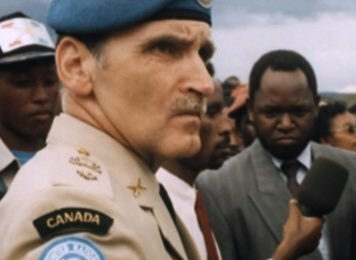 Dallaire watches with a mixture of awe and frustration as planeload after planeload of soldiers, armoured vehicles, water tankers and humanitarian aid arrive at the refugee camps on Rwanda’s borders. But the world still doesn't understand what they are seeing. Among the innocent are tens of thousands of genocide perpetrators - soldiers and militia - still armed. They rule the camps with fear and brutality. Aid workers find themselves being used as caterers to probably the largest collection of mass murderers ever assembled. The International Criminal Tribunal for Rwanda is set up in Arusha, Tanzania, after a vote by the UN Security Council. “This tribunal was created essentially to appease the conscience of the international community.” said Charles Murigande, chairman of the Presidential Commission on Accountability for the Genocide. “The international tribunal was painfully slow to begin work, had great trouble locating and capturing suspects and spent more than $1 billion to try the less than seventy it managed to arrest. Defendants enjoyed private cells, television, and three meals a day. Linda Melvern. A people betrayed: the role of the west in Rwanda's genocide. Stephen Kinzer. A thousand hills. Rwanda's rebirth and the man who dreamed it. UN and Dallaire photos are screengrabs from the film Shake Hands with the Devil, the documentary about Romeo Dallaire.